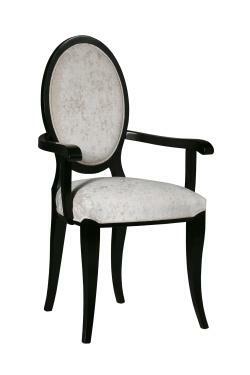 The Molly Armchair is made from a Beech frame and has an Oval shaped Back. The Molly can be upholstered in any fabric or faux leather. Also Available in Side chair.